It all started with the end of a weeklong monsoon. The skies had finally cleared up and the colors surrounding me felt more vibrant than ever before. The longing for a hike was finally a possibility. I, along with two other friends, started the journey from Baneshwor and headed towards Sundarijal with a trip planned for three days. Even the cab ride felt exhilarating and refreshing. We could not wait to start the hike which was bound to be filled with luscious forests, wildlife, friendly people, local cuisine and enormous mountains in the horizon for the entirety of the trip. The wait was excruciating. Like most of my trips, which always take place after ages of planning, this was also pending since two years. Some Indonesian and Chinese friends’ visit to Nepal made it possible for the trip to finally occur. There is a saying that it rains when unexpected things finally happen and so was the case with this trip, as it rained all of a sudden on the early morning of the trip. We had hired a van for 12 of us to drive to Pokhara. For my second trek in Nepal, I wanted to see Mount Everest. I didn’t need to be particularly close, and I have no desire to be amongst tourists all cramming themselves into Base Camp, I just wanted to see the highest mountain on earth with my own eyes. So in late December, I set off again with Khadak as my guide. Once again I left all the planning to him and enjoyed just following along with the trek he had planned. We caught the bus from Kathmandu to Jiri arriving there at about 4pm and had time for some fabulous coffee and local donuts before catching the next bus to Shivalaya. By the time the bus arrived it was near dark, and it was cold and pitch black when we arrived in Shivalaya. We picked the closest lodge and settled down for the night with hot tea and daal bhat for dinner. I had never been on a trek before in my life, but arrived in Nepal with a determination to go trekking and experience the wonder which is the beauty of the Himalayas and the abundant wildlife here. 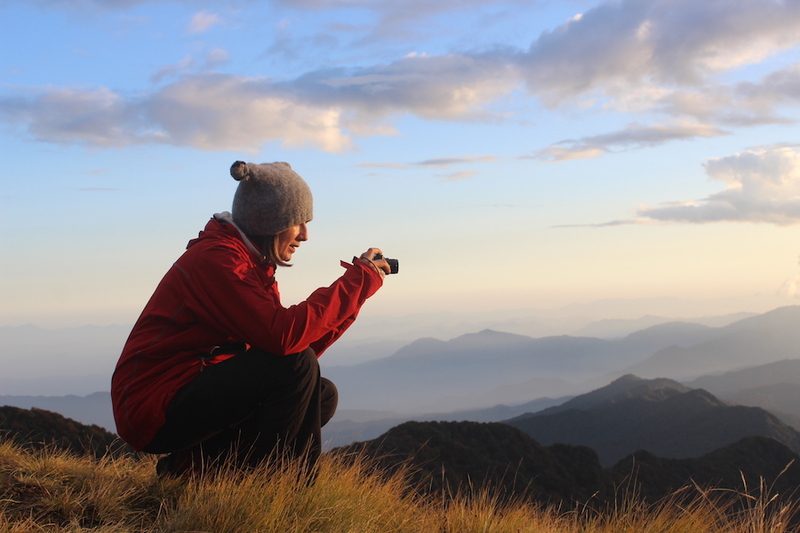 So on November 2 I left the city for the adventure of a lifetime – the Mardi Himal Trek. I met Khadak at 6am in the morning and we took a private car to Kande, where we unloaded our kit and my very first trek got underway. It seems I have a lot to learn about packing. Even though I thought I had taken only “the essentials” my pack seemed much bigger and heavier than his! Arriving at Australian Camp for a cup of divine Nepali tea was amazing, and the view reminded me that I was really trekking in Nepal, and doing something quite amazing. We continued along the trail, which was surrounded by stunning forest and amazing scenery. It had been a long time since we went out on a family trip. 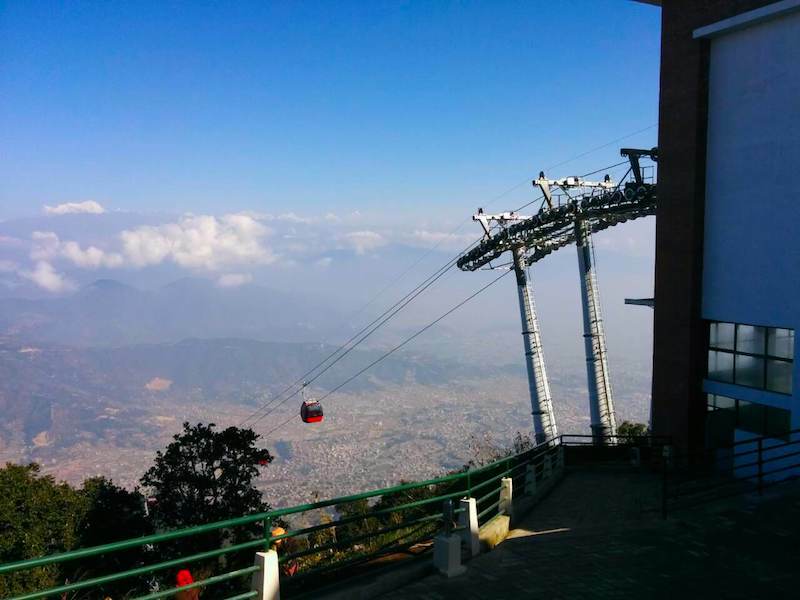 So, one Saturday, we decided for a trip to Bhaleshwor Mahadev Temple in Chandragiri hill, which is a new tourist destination in the valley to pay worship to god Mahadev, as well as ride cable car. Even though the weather was not good that day, especially when we were hoping to get a clear view of Kathmandu valley from the hilltop, we still decided to visit the place. After leaving Kathmandu, the scenery is completely changed with green paddy fields and wide roads of Arniko Highway. Covering the distance of 9.8 km, Bhaktapur is 15-20 mins ride from the main city of Kathmandu. The city of devotees (Bhakta: devotee, pur: city) is aptly named for its well-known temples and shrines. Bhaktapur is one of the oldest cities of Nepal constituting of old city traditions and Newar heritage. 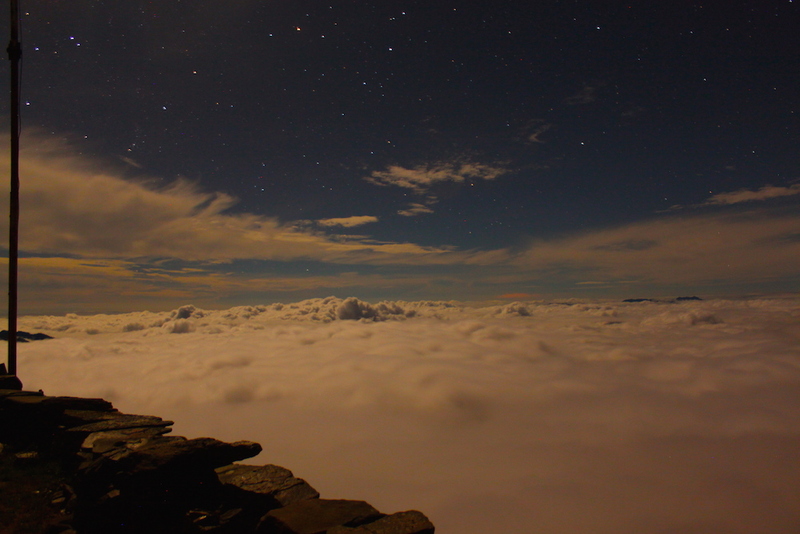 Hiking was my forte and trekking was something I had always longed for. Opportunities came and went, but somehow I had missed every one of them and I was not going to miss this one. Manaslu, a name everyone was familiar with, came knocking on my door and the planning started. Five of us were finalized as the ‘Larke Pass Team’ although I had doubts regarding my health when I found out that we will be reaching an altitude of 5200 meters but I was prepared to take it on. 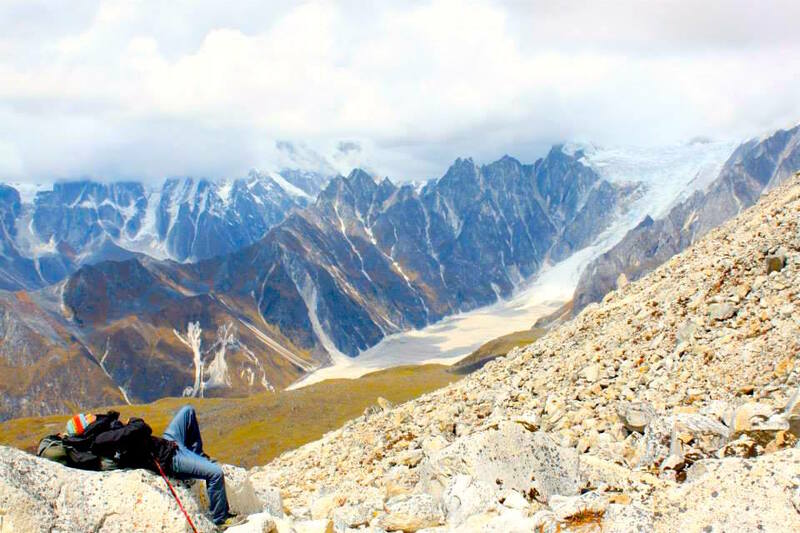 We had found out that an average person takes around 14 days to complete the trekking route, but still planned a 10-day trip (a bit of arrogance perhaps but as we found out later, arrogance is never a good commodity). We had heard that the food and shelter privileges were at its worst as we ascended higher altitudes which meant proper food supplies and sleeping bags were a must and walking with those enormous bags on our back was going to be a challenge in itself. Come to think of it, even standing up straight for the first time required added effort. As claimed by Lonely Planet – “A Mirror to the Himalayas”, POKHARA is the ultimate destination in Nepal that is perfect for the visit any time of the year. 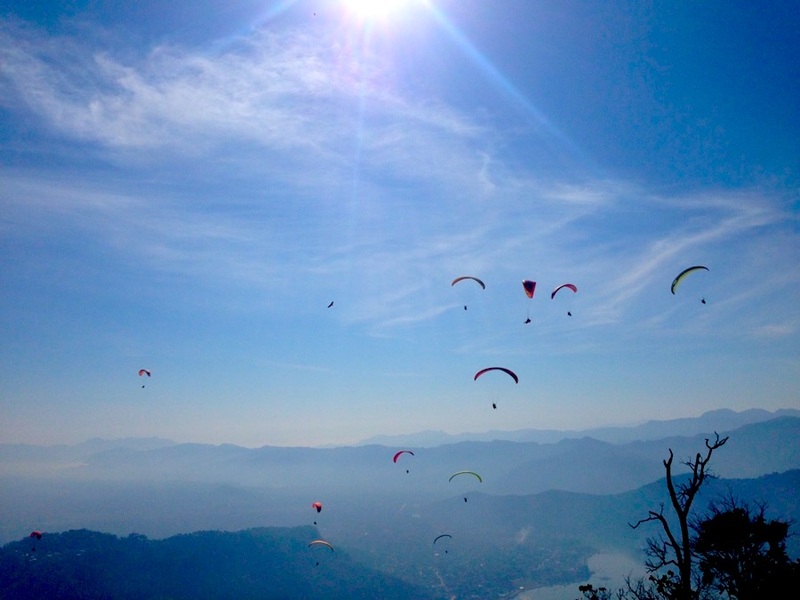 With diverse landscape through a sudden rise of altitude from 800-5000 meter in short distance of 25km, Pokhara offers spectacular scenery, with all possible adventure activities. Added by comfortable hotels to stay, exotic cuisines from all corner of the world, topped with a flavor of hospitable Nepalese people, Pokhara serves you an experience of a lifetime. I have been to Nagarkot hundreds of times but every time the town offers a different charm. 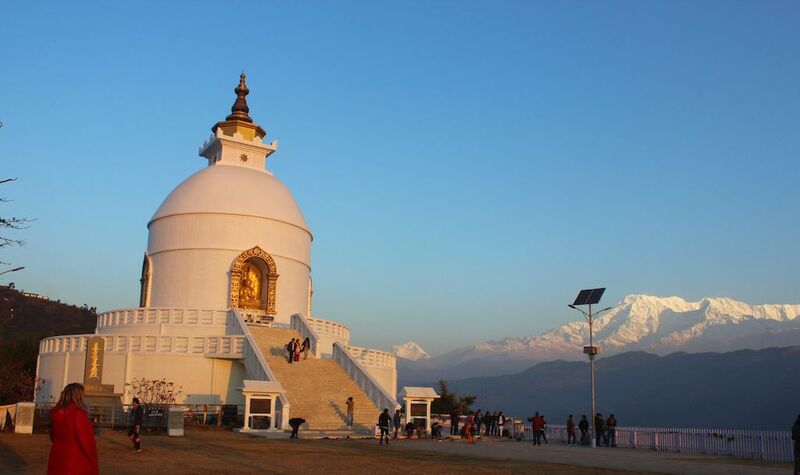 A small hilltop town 30 km from Kathmandu, Nepal offers the spectacular view of the mountains and of the valley. On 18th August 2016, we decided to take the alternative route to this beautiful town. This route offers the view of the residing villages and is rugged. Since it takes one and half hour ride from Kathmandu to Nagarkot, we started our trip after lunch. We got on our Royal Enfield and took off. 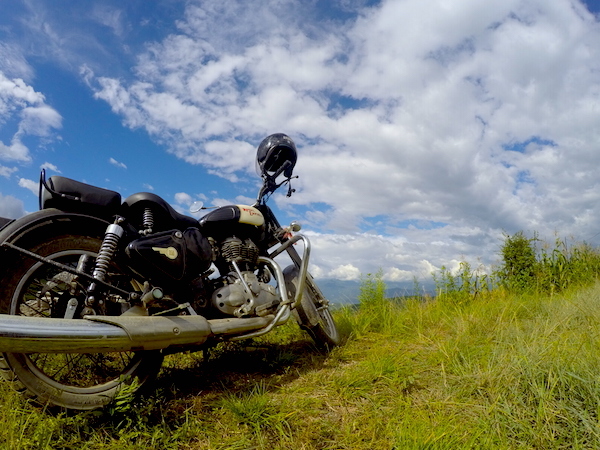 The alternate off road ride to Nagarkot is not graveled and is a bit rugged. The road is narrower and passes through many villages around Kathmandu. The trip begins with lush greenery of Sankhu. 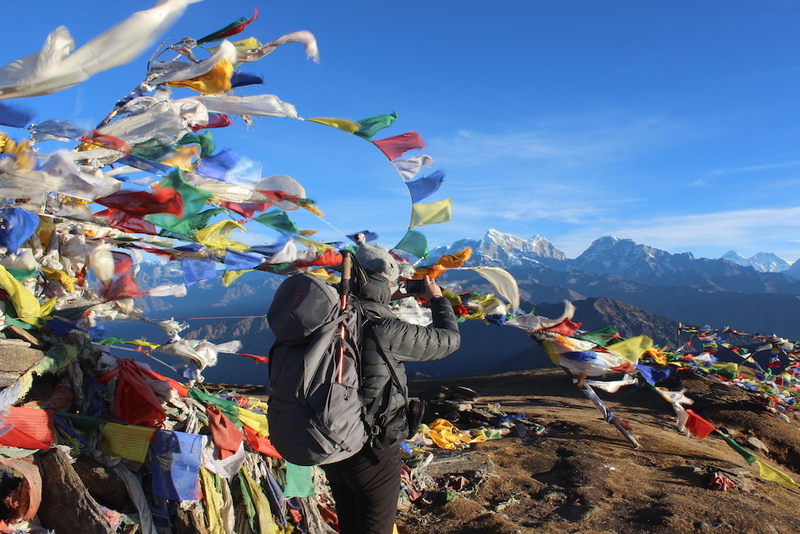 As a part of September trekking, this time we decided to trek along Annapurna Circuit. We planned to start it on 2nd September, Friday. For those who would rather want fewer crowds, it is the best time. Later, such tourist areas get full and sometimes 100% occupied. Day1: Long bus & jeep ride day. The day was finally there, 2nd September. We decided to meet by 5, and we promised to wake each other up. One of the best thing about my September trek friends is, they always get ready one hour earlier no matter how early we decide to leave. I took a taxi from Pepsicola and left for Sankhamul to pick Topi and Sudip. It was only on the road, I remembered that I forgot stick and my light. After I arrived Sankhamul, I could see that guys were waiting for Sarkaar, who was coming from Chabahil. We drank black tea there, along with our Driver dai. We then left to pick Sarkaar at Baneshor and went to Kalanki to catch Microbus of Besisahar. Unfortunately, while we arrived Kalanki we came to know that the microbus to Besisahar only leaves after its seat is full from Gongabu. We then took one bus leaving for Syangja. The bus was comfortable, and we sat at the last as we had big trekking bags. The bus left at 7am from Kalanki. In the bus, we met a very friendly owner of the bus. We introduced each other and shared some laughs . We reached Besisahar at 2PM and found that jeep was leaving for Manang. We decide to cover the “Vehicle road” by that jeep as far as possible. The jeep left Besisahar at 3. The road used to be scary back in 2013 when we came back from Lharke pass circuit. 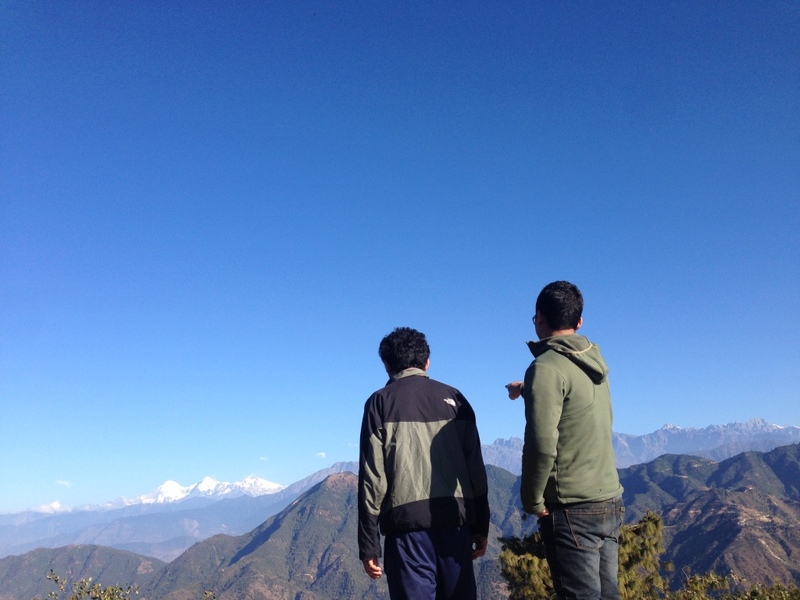 As a part of September trekking, this time we decided to trek along Annapurna Circuit. We planned to start it on 2nd September, Friday. For those who would rather want fewer crowds, it is the best time. Later, such tourist areas get full and sometimes 100% occupied. Day1: Long bus & jeep ride day. The day was finally there, 2nd September. We decided to meet by 5, and we promised to wake each other up. One of the best thing about my September trek friends is, they always get ready one hour earlier no matter how early we decide to leave. I took a taxi from Pepsicola and left for Sankhamul to pick Topi and Sudip. It was only on the road, I remembered that I forgot stick and my light.